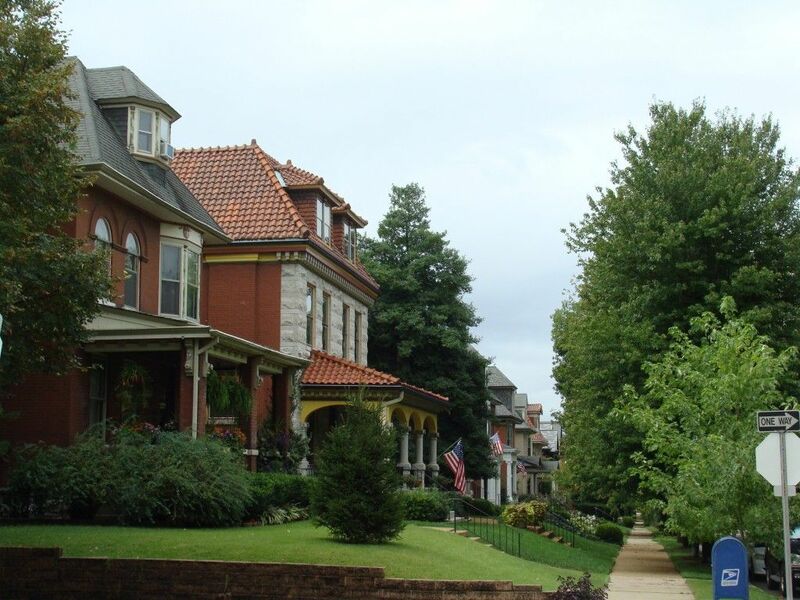 You might not notice the august gates of Flora Boulevard, across the busy Grand Boulevard from Compton Heights due to the heavy traffic in the area. 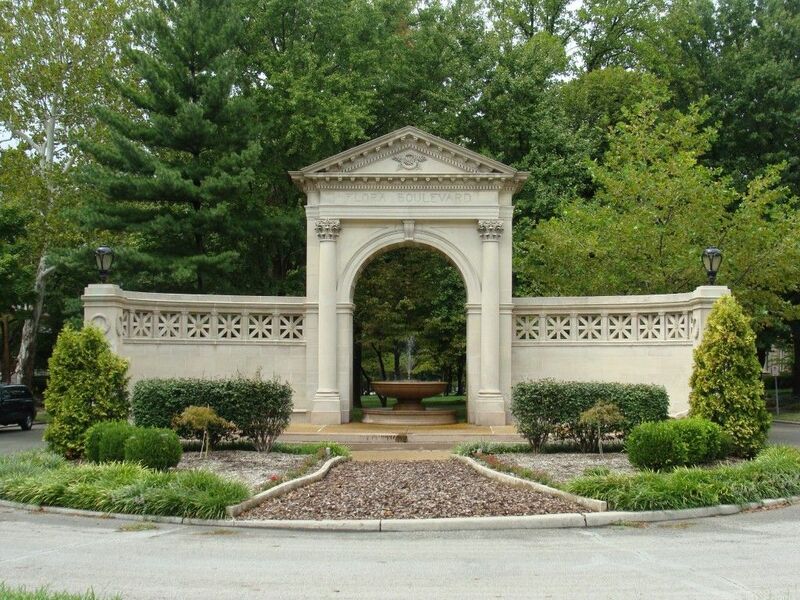 But the elegant gates allude to the beautiful, serene boulevard hiding behind the blocked street. 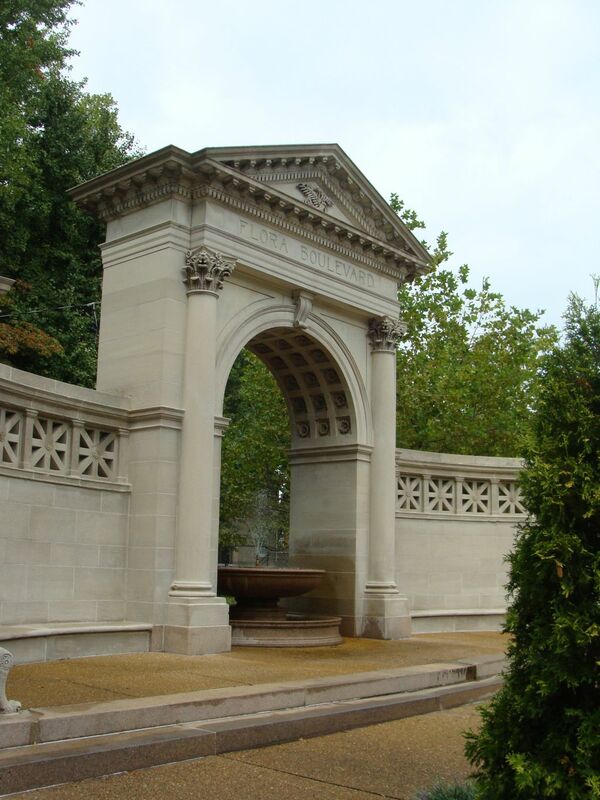 A mix of numerous different styles of architecture, Flora continues the botanical theme of the nearby Shaw’s Garden. 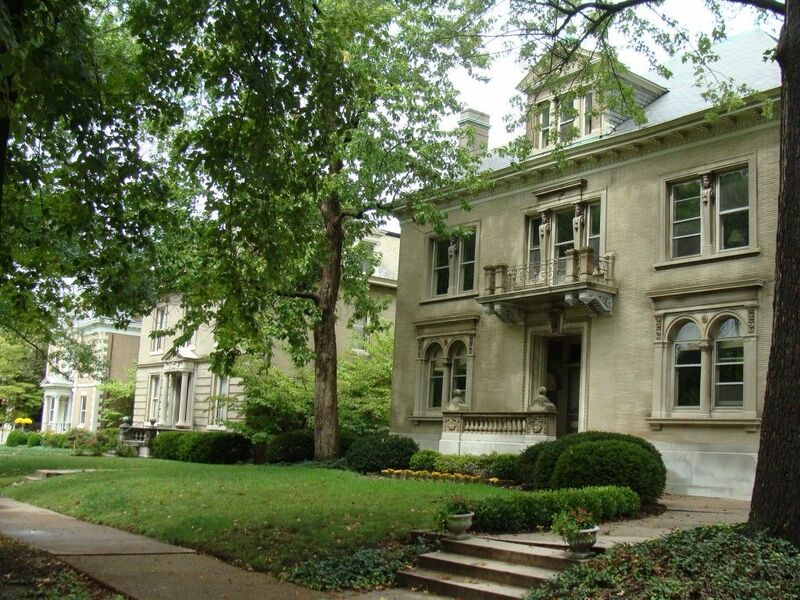 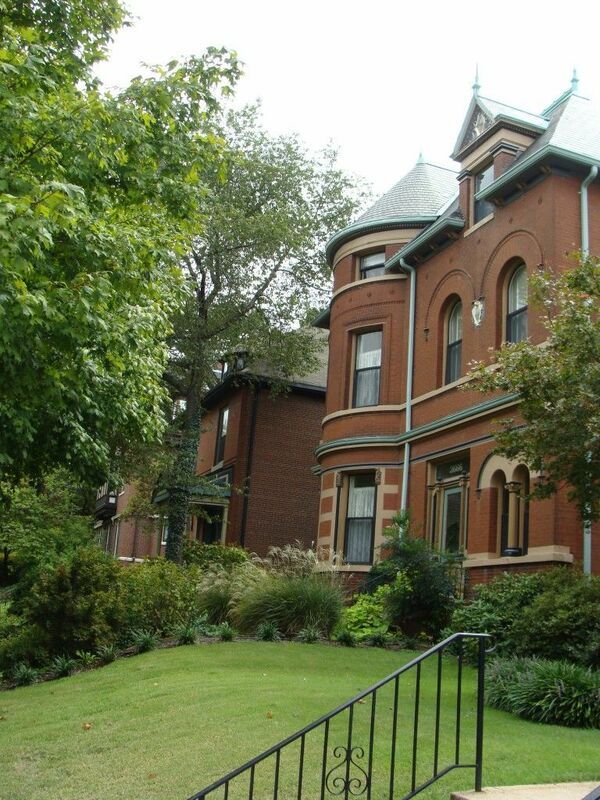 I was particularly impressed with this one house on the south side of the boulevard. 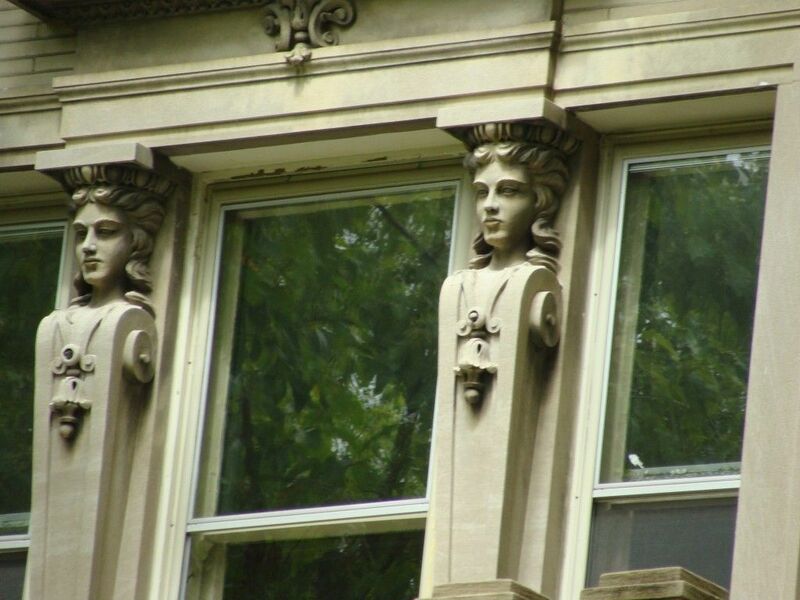 The central window on the second story is accented by these two caryatids.